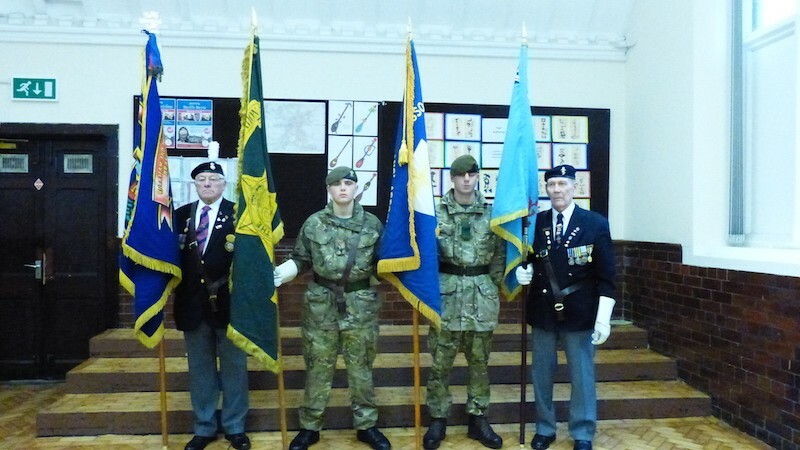 A campaign to safeguard local veteran standards and ceremonial flags in Wrexham has begun. Back in October 2015 members of Wrexham Council’s Executive Board approved proposals to launch their first crowdfunding project to safeguard Wrexham’s local veteran standards and ceremonial flags. Last Wednesday saw the launch of Wrexham Council’s Crowdfunding appeal to raise funds to safeguard the standards of the Eighth Army Vets, the Korean Vets, the Burma Star Vets and the Normandy Vets. The project to preserve the standards hopes to raise £13,000 with £8,000 being raised through Crowdfunding. The remaining funds will be raised through traditional fundraising activities such as bag packing in a local supermarket. Speaking at yesterday’s Town Centre Forum Meeting, Melanie Salisbury who is involved in the crowdfunding project said: “Last year Cllr David Griffiths was approached by local veterans who were concerned about what would happen to ceremonial flags. Over £2000 for the project has been raised already, with 24 ‘backers’ pledging to support the cause. Plans are also underway to help fundraise at two of the Wrexham Street Festivals in April and June, with the forum told that there are licenses available for collection on those two days. You can make a donation to the ‘Wrexham. Honouring our Veterans’ project via Spacehive here. Further information can also be found on their Facebook and Twitter pages. The crowdfunding for the ceremonial flags will end on 30th June 2016. Read 1,245,550 times in last 30 days. Read 1,245,550 times in last 30 days, and 73,800,015 times since we started in 2011.